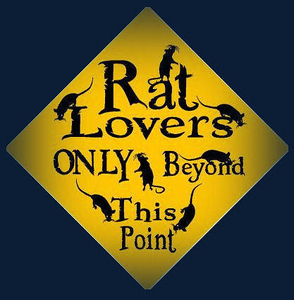 After reading this material, please go to Build a Good Relationship with Fearful or Aggressive Rats for an essential method to reach the heart of the fearful or aggressive rat. The reputation of pet rats is that they do not bite. Even a shy rat, if she has had some basic handling from birth, and is handled gently, will likely not bite. A domesticated Norway Rat who bites people, is not the norm. This rat was likely never handled from birth, or was abused by humans some time in her past. Genetics might also play a role: Inbreeding can produce aggression. If genetics plays a role, the human may be limited in what she can do to help this rat. A biting rat is aggressive. Aggression, at its core, is based in fear. So, if you want to help an aggressive, biting rat, become friendly, the task is to work with her fear. Maybe most important: This can take time, even months. Please have an open heart, and endless patience to work with the rat at the rat’s pace. CAUTION: This method may not work with all rats. This information is not intended as a 'fix all method' for any rat. Be safe. Wear gloves while assessing the rat’s level of aggression and while helping the rat become friendly. View a video example of using gloves during an Introduction session. View a graphic example of what can happen if you don't wear gloves. Become familiar with the body language of an aggressive rat. Help the rat become comfortable with the gloves. You can leave them in the cage for a day or two, or, if there’s a risk of the rat chewing them, take used bedding or fleece and rub them into the gloves. Sleep with the gloves to “break them in” and help them take on your scent. Rats easily learn to treat gloves as ho-hum, even if they don’t like human skin. Minimize stress on the fearful or aggressive rat. If the rat dislikes being handled, don't handle her except when absolutely necessary. Wash your hands and change clothes if you have other rats or animals in the environment that might be stressful to the biting rat. Sometimes this can be half the problem. Teach the rat to use a transport box. A transport box is invaluable with an aggressive or biting rat. View the method to teach a rat to use a transport box. Do not physically restrain a rat that is fearful or aggressive, except in an emergency. Do not chase the rat to grab her. This will inadvertently teach her that you can’t be trusted. Offer food and water, reliably and fully, so that she sees you as good in her life. Do not withhold food and water in an attempt to “make” the rat come to you. Forcing hunger on a rat is not necessary. A hungry rat experiences pain. We don’t need or want a rat to endure the pain of hunger – why would we want her to suffer in this way? Offer a tiny treat regularly. Leave it inside the cage if necessary, for the rat to each when she wants. Work quietly around the rat. The goal is to minimize stress. Relate to the rat in a very particular way. One method comes from the science of behavior modification and is used with feral cats, wild horses, dog-aggressive dogs, and zoo animals. This special method does not force the rat to accept us or tolerate us. Instead we respect the rat's fear state. We aim to not trigger her fear, or more fear. We don't ask her to do something she doesn't want to do. all of these give her reasons to trust us. More below. A Special Relationship With the Biting Rat: RAT-C. The most powerful relationship we can have with a fearful or aggressive pet rat (or any animal) is to respect her fear state. What the fearful or aggressive animal wants most is for the human to go away. Using this method, we do go away, but we do so at a very particular moment, following a sign of calm from the rat. How and why? More on RAT-C next. The starting point for working with biting rats is to use environment to minimize stress, keep rat and human safe, and convey to the rat that the human is only kind. Rats that bite need a human's help. The videos in this series show examples of working with a biting rat.